Save shots on the golf course by learning to chip like a pro. Twelve simple exercises plus ten minutes a day, and you can transform your short game, strike chip shots with authority, land the ball where you want and impart any amount of backspin you need. 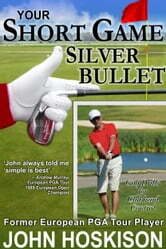 Join former European PGA Tour Player and champion golfer John Hoskison as he presents his proven 'silver bullet' for club head control—the missing link between robotic technique and a chipping action that really works. But John doesn't stop there. Interspersed throughout the lessons, John shares short and insightful stories of when he walked the greens with golfing legends Nick Faldo, Seve Ballesteros , Mac O'Grady and Lanny Wadkins.